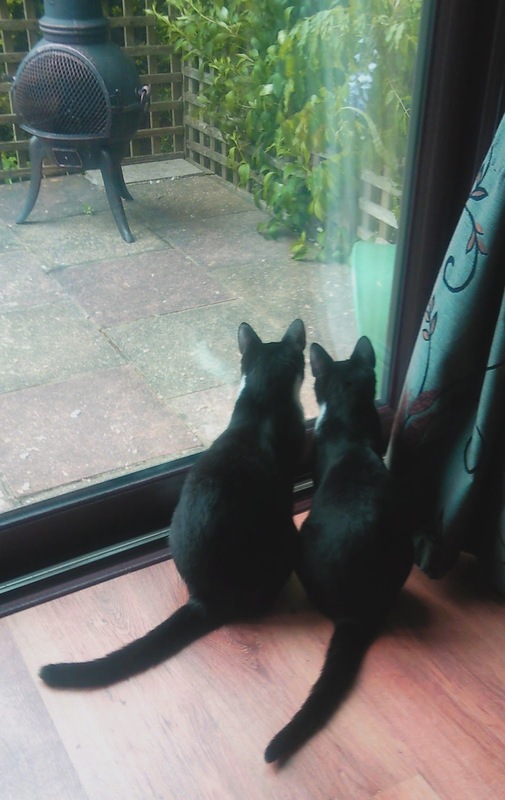 Kittens Mishy and Murphy – sister and brother – were found living in a garden. 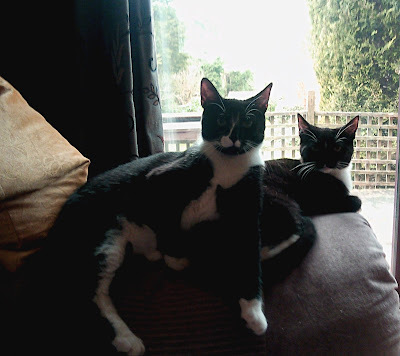 The black-and-white cats were nervous when they were brought into Cats Protection’s Haslemere Adoption Centre in Surrey. While Mishy and Murphy were well looked after at the centre, their timidity meant they were passed over by potential adopters. A few weeks after they arrived at Haslemere, Kelly Mowatt visited the centre to look for an unusual birthday present for her husband Alan. Experienced cat owners, the couple had lost two of their feline friends the previous year and Kelly thought she’d surprise Alan with another cat. Kelly and Alan had succeeded with their two formerly-nervous rescue cats Tripod and Pickle so the challenges ahead didn’t bother her. While Kelly had planned to just adopt one cat, Mishy and Murphy came as a pair so she agreed to take them both on! The cats went home with Kelly in February, and were very nervous to begin with and hid, which is a natural behaviour cats express when they feel uncertain. Kelly and Alan kept Mishy and Murphy in the back bedroom at first so they could explore their new home gradually. Over the next three weeks, the couple spent lots of time talking gently to the cats and coaxing them out of their shells with the help of some tasty food. Mishy and Murphy began to respond and bond with their new owners. The cats have come a long way in a few short months. Mishy and Murphy like to chatter to the birds and squirrels outside from behind the patio window, while Murphy has discovered that if he continually jumps on and off the bed, his owners will eventually give in and get him breakfast! The cats like to chatter at the birds on the patio! Fabulous story! Isn't it just the best thing when your cat begins to talk to you? Nice to see them healthy and happy!